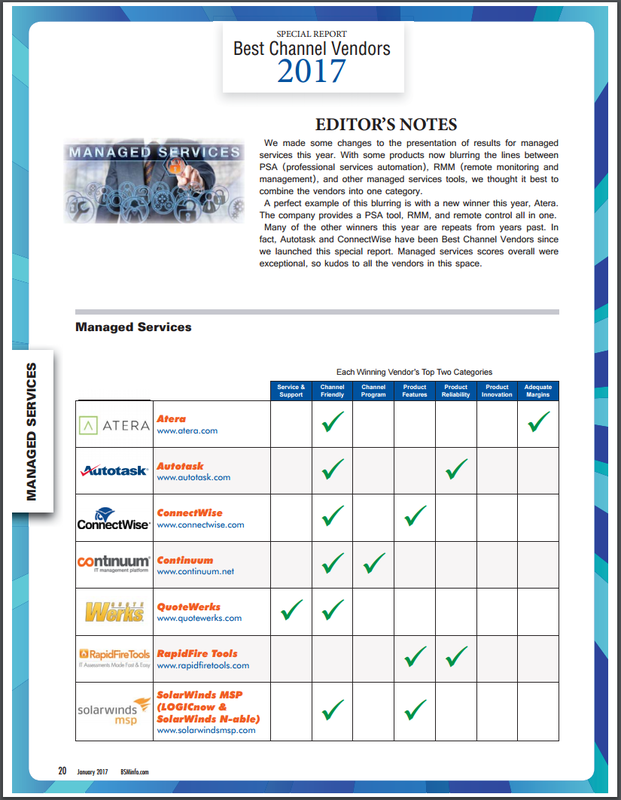 For the second year in a row, QuoteWerks is a winning Vendor in the Managed Services Tools Category in the 2017 Best Channel Vendors Report. Read the January 2017 issue of Business Solutions Magazine for the full list of winners. See our other awards and reviews.